The relative solubility (dose number) is proportional to dose and inversely proportional to solubility. Dose is dictated by study design, so lowering it to decrease the dose number is typically not an option. Therefore, increasing solubility becomes the only way to reduce the dose number and increase Fabs. Formulation strategies fall into two general categories. The first is solubilization in a medium, which upon dilution by the intestinal mileau, generates a supersaturated solution. Adding pH-modifying agents to enhance solubility through compound ionization and dosing with co-solvents are common examples of this approach. The second category involves modifying the lattice energy of the solid through disorder (low-crystalline or amorphous materials), or changing the intermolecular bonding network (polymorphs or salts). Other chapters in this section provide more detail on these types of formulations. If one is in a permeability-limited region of the biopharmaceutics landscape, then to increase bioavailability, either Peff or solubility needs to be increased. The most effective way to increase permeability is to change the molecule. This is typically not a practical solution, but a pro-drug strategy might be considered if an overall class of compounds has poor permeability. If the molecule is a P-gp substrate, co-administration of a P-gp inhibitor may reduce efflux and increase the effective permeability. Suggested inhibitors include Cremophor EL, Vitamin E-TGPS, and Polysorbate 80 (Nerurkar, et al., 1996; Yu, et al., 1999). 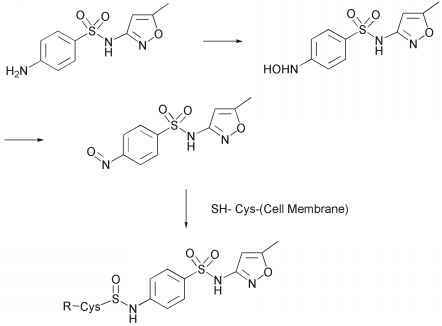 While this approach has been demonstrated in vitro, and there is strong evidence that this mechanism can explain certain drug-drug interactions (for example, Boyd, et al., 2000), verification of its utility as a formulation strategy in vivo is limited. The alternative for enhancing flux is to increase solubility via a technology that provides supersaturation compared to the crystalline material at the absorption site, as described in the previous section. The most effective formulation strategies are those that provide the highest degree of supersaturation, yet do not induce precipitation. Materials that inhibit precipitation (typically polymeric) may be added to the formulation.